A night of storytelling to share thoughts, knowledge and experiences related to climate change. 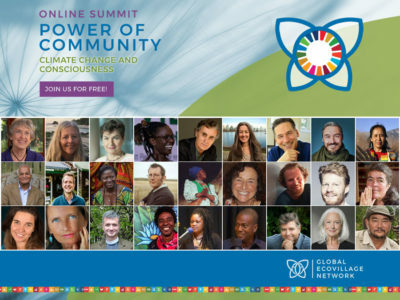 The aim of the Talanoa Dialogue organised by the Global Ecovillage Network (GEN) and the Findhorn Foundation, held in coordination with the European Day of Sustainable Communities, was to build consensus and unfold the complexity of a global situation that requires absolute openness and cannot be avoided. As highlighted in a recent speech by the UN Secretary General António Guterres, when thinking about climate change, ‘there is nothing to lose from acting; there is everything to gain’. Traditionally used in Fiji and the wider Pacific, Talanoa refers to the coming together to tell stories in order to create an ‘inclusive, participatory and transparent’ dialogue. Through the provision of a space in which people are able to share personal reflections and be truly listened to, it is hoped that empathy and trust can be strengthened between participants and wise decisions can be made for the collective good. Representing one of the key outcomes of the previous climate summit which Fiji cohosted, COP23, this form of discussion not only brings a voice to government representatives but also to civil society and other stakeholders. For this reason, and in preparation for COP24 in Katowice, Poland, the United Nations Framework Convention on Climate Change (UNFCCC) has decided to release short videos featuring stories from various countries and organisations centred around the following three questions in relation to climate change: Where are we? Where do we want to go? How do we get there? 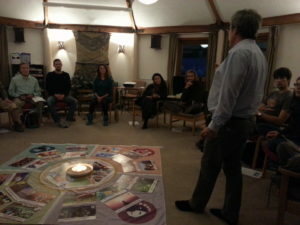 As an organisation working towards a more sustainable future, GEN too has been part of this international dialogue and thus felt the importance of bringing it into one of the network’s communities, specifically Findhorn. 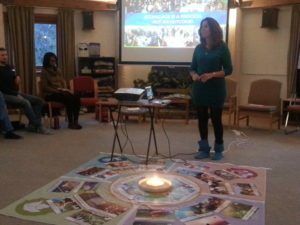 Keeping the aforementioned questions in mind, all attendees gathered in a circle and the evening began with a sharing by our Advocacy Director, Yvette Dzakpasu, and the work her sister is doing at KITA, the Institute of Tropical Agriculture in Ghana. From this, the conversation moved through stories that told of project failings in Brazil, of different kinds of leadership and a rethinking of scale that does not just revolve around size but also depth, of following one’s passions, encouraging love, of transforming fear, of population reduction and the power of the local, of the desire to change one’s self, the drive of young people and ‘ikigai’. Despite many uncertainties, what emerged was a dialogue that inspired and brought to light that there is not one but may innovative solutions to the challenges before us. Every story, every thought, contained an important lesson as to how we can confront and connect more with ourselves, our surroundings, and above all, our reality: climate change. There is no time to waste, and so we must continue these conversations and the actions they encourage.